This action figure was released back in 2001-2002 and toy boutique Ninyoushi found one last one in their warehouse. Created by Hong Kong artist, Eric So, it’s a rendition of actor Sam Lee as a vinyl figure. 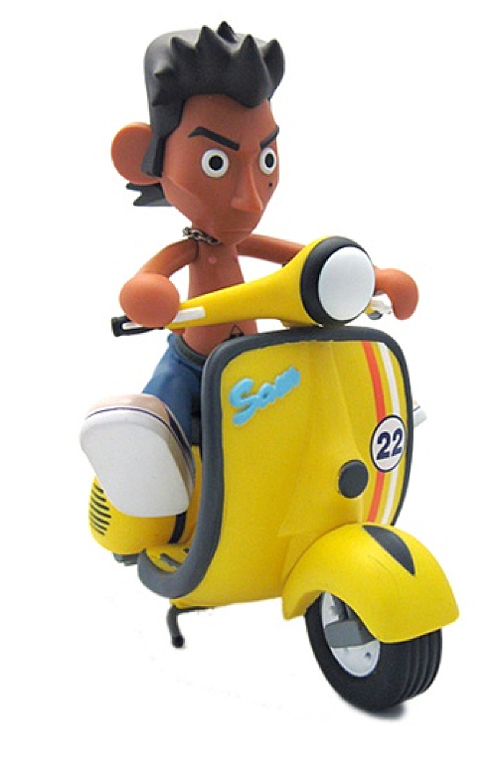 You can pose Sam Lee to stand alone or sit on the scooter as it includes interchangeable legs. Scooter and Sam Lee are both packaged separately in boxes. But come together as a set. They measure approximately 6″ tall. $110.00. This entry was posted in Art, Models, Figurines, Toys and tagged action figure, ninyoushi, sam lee, scooter, Toys, vespa by Tracy. Bookmark the permalink.